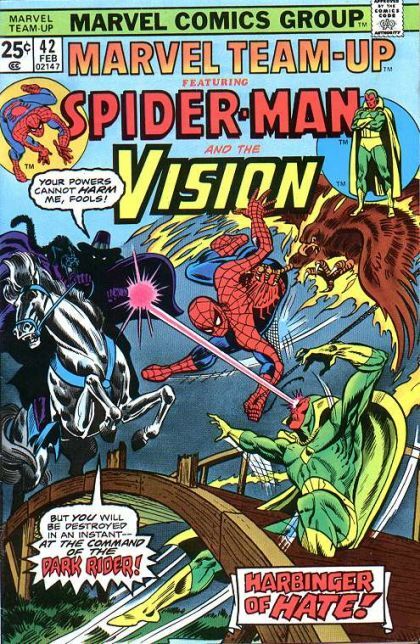 Spider-Man and The Vision: Visions of Hate! Spider-Man, Vision, and the Scarlet Witch team up to defend themselves from their assailants, but they ultimately fail, holding back for fear of changing history. Spider-Man and Vision escape confinement, and find themselves face to face with a most unexpected ally.